In the previous post, we have created our child modal components and a directive. Now it’s time to use them in our project. Creating a new owner and using our child components and directives is our goal in this post. When we click on the “create” link inside the owner-list.component.html we want the application to direct us to the creation page. Now we can start writing code to create our entity and to validate the form. There are two types of validation in the Angular: template driven validation and reactive form validation. In our project, we are going to use reactive form validation because it is easier to read an HTML file. Furthermore, it doesn’t make HTML file so much “dirty” with too many code lines and all validation is in the component which makes it easier for maintenance. Now let’s explain this code. In the form tag, we are creating the formGroup with a name ownerForm. This form group contains all the controls which we need to validate in our form. Moreover, with the (ngSubmit) we are calling a function when a user presses the submit button. As a parameter for that function, we are sending the ownerForm’s value which contains all the controls with the data we need for the validation. There is a formControlName attribute inside every control. That attribute represents the control name which we are going to validate inside the ownerForm and it is a mandatory attribute. Furthermore, in the <em> tags we are displaying error messages if there are any. Errors will be written on the page only if the functions validateControl() and hasError() return true as a result. The function validateControl() is going to check if the control is invalid and the hasError() function is going to check which validation rules we are validating against (required, max length…). Both validateControl and hasError functions are our custom functions which we are going to implement in the component file. 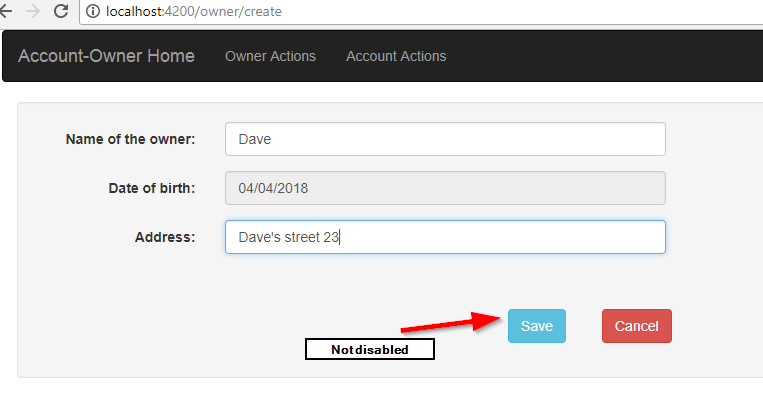 There is also a submit button which is going to be disabled until form becomes valid and a cancel button which is going to redirect the user away from the creation form. Furthermore, we import our child modal components inside this form to show success and error messages. As you might remember from the previous post, the success modal had the @Output decorator named redirectOnOk. This @Output decorator is emitting the EventEmmiter and in here we are subscribing to it with the event binding and assigning a function to it. The function redirectToOwnerList() is going to be executed as soon as the user clicks on the OK button from the success modal window. Let’s explain this code. As soon as a component mounts we are initializing our FormGroup variable named ownerForm with all the FormControls. Pay attention that the keys in the ownerForm object are the same as the names in the formControlName attribute for all input fields in a .html file, which is mandatory. Moreover, they have the same name as the properties inside the owner object (address, dateOfBirth, and name). 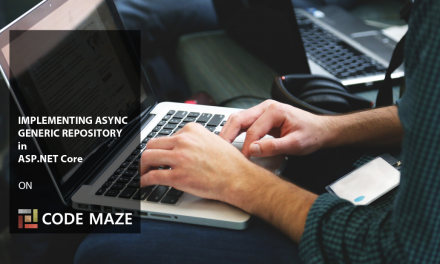 When instantiating a new form control as a first parameter we are providing the value of a control and as a second parameter the Validators array, which holds all the validation rules for our controls. In the validateControl() method, we are checking if the current control is invalid and touched (we don’t want to show an error if the user didn’t place the cursor inside control at all). Furthermore, the hasError() function will check which validation rule the current control has violated. Our dateOfBirth control has the appDatepicker directive, which attaches datepicker inside that input control. Selecting the date won’t patch a value for that control inside the ownerForm, so we need to do that manually inside the executeDataPicker() function. If you look at the redirectToOwnerList() function, you are going to see the familiar code for navigating back to the previous component. There is another way of doing this by importing the Locationfrom the @angular/common and injecting it inside the constructor and then just calling the back() function on that injected property (location.back()). What you decide to use is totally up to you. After all, we are extracting values from the ownerForm, and sending a POST request to our server. When you click the OK button, you will be redirected to the owner-list page and the new owner is going to be on the list. In the next part of the series, we are going to write the update part of the project, by sending the POST request towards our server. If all of these steps are checked, and you haven’t find the error yet, you could sent me your code or you may check the error message, if there is any, in the developer tools. If you find a time, inform me about the result. I hope I helped you a bit. Your blog is always help us to implement great things in project, can you please create the blog series for Crud operation in 1 page. Like for add and edit one model. On the listpage list with edit and delete button. and on the delete button model with confirmation, and models after deleting record. this will really help for candidate like me. Also i have one question. Why are you used jquery ui when your are installing boostrap. About your question, I have used JQuery for the datapicker control, and it helped me to show why should we use and how to use directives. With the help of your article and and some other article. I have created one component with crud operation with modal window for add and edit. to implement this i have used the formbuilder. except display list i am not able to do any operation. when click on edit or delete button nothing happen. on click of add button modal form is open but after data entry hit on submit button no data pass to component ts. I have uploaded my project on below url. Please check and let me know what is the issue. how to resolve this issue. Hello Omkar. First of all I would never recommend to create this kind of component structure. One component should do only one thing not all of the operations. So I would create a modal child component for every action (add, update, delete) and every modal component would do all the necessary things required for that action. I know what you tried to do, to create one generic to cover all the crud operations, but this is not good at all. 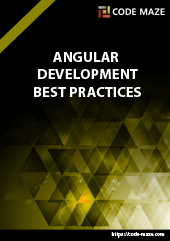 You can read this article https://code-maze.com/angular-best-practices/ to learn more about proper coding structure. Second thing I don’t have the server part of your application so I can’t test it entirely. But as much as I could see, you have the input type with attribute formcontrolname (UpdateBy) and not formControlName (with capital C), thus your mapping is not working for that input control. Maybe this is causing you trouble. You don’t have an endpoint for your deleteProductCategory() function, thus you cant start your delete modal. As much as I could test it, without the server part, and with formControlName change, all worked ok. The code is accessing all the way to the repository part, and there it break, because I didn’t have the server to accept that request. So try to change that attribute and try to debug your code afterwords. Thanks for your quick reply. The issues is getting resolved just now. May be capital c in form control name was issue. I will check it. Server side code is working fine. I have followed your core articles. So server side code is not issue for me. Also thank for providing valuable information. 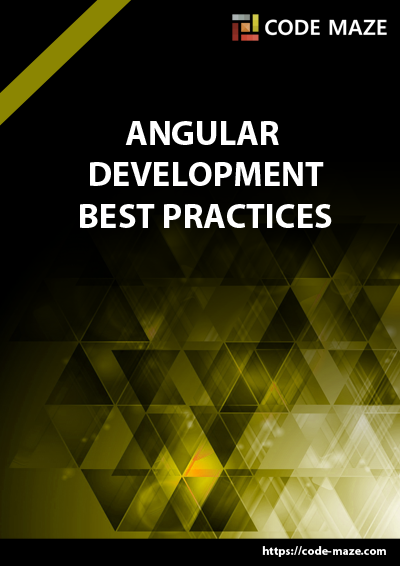 I am also practising different way of implementing functionality as I am new too angular. It will help for interview preparation.